Fujifilm lenses are awesome. But they are also expensive, right? Sometimes, you might want to get a specialty lens that you only end up using once in a while without spending a fortune. Or, perhaps you may want a lens size that Fujifilm simply doesn’t make (yet). For example, you might want to experiment with an 8mm fisheye. 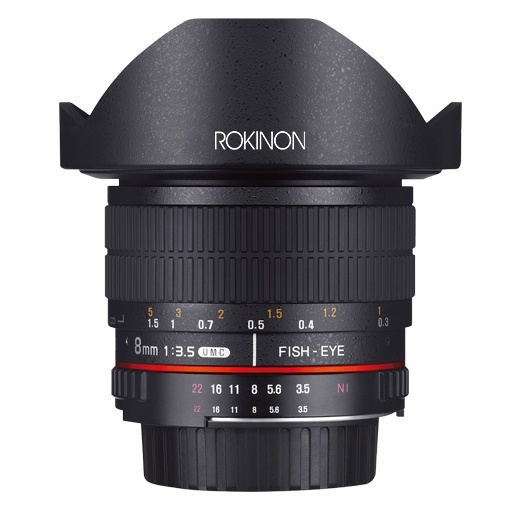 Luckily, there’s a solution: 3rd party lenses such as these by Rokinon. Or other providers. Either way, they are X-mount or other lenses that attach with an adapter to the Fujifilm X-T2. And now you happily attach it to your Fujifilm X-T2. Since it’s an X mount, it should just work, right? Well, not necessarily. There’s actually one very important setting that you may need to make on your camera to enable shooting with a non-Fujifilm lens. It’s called the shoot without lens setting. It enables the Fujifilm X-T2 to shoot regardless of what kind of lens you have attached to the camera. The problem is, this setting is placed in the strangest location: In the Button Setup screen! Huh? I’d assume they would have put it in the camera setup or Focus or whatever. It's buried in the 'Button/Dial Setting' menu. Huh? All done. Now you can shoot with any lens from any manufacturer that you attach to your camera. Note: You may as well leave this setting on all the time since it doesn’t affect Fujifilm lenses attached to your camera – and thus, you never have to worry about it again.